Manufacturer of a wide range of products which include 7w led driver, led bulb driver, 5w led driver, driver for led bulb, 3w led bulb drivers and 8w to 12w led bulb driver. 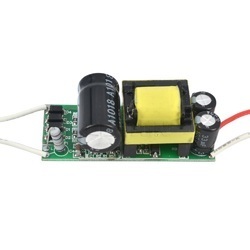 We are a leading Manufacturer & Supplier of 7W LED Driver. These products are developed in compliance with international quality standard and norms. We are offering LED Bulb Driver to our clients. We are manufacturing driver for led bulb, Tube Light, Down Light, etc. These products are developed in compliance with international quality standard and norms. We are a leading Manufacturer & Supplier of LED Bulb Driver. These products are developed in compliance with international quality standard and norms. 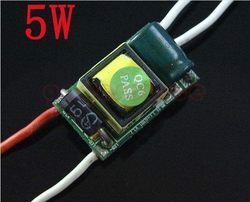 We are a leading Manufacturer & Supplier of 5W LED Driver. We are engaged in manufacturing and supplying a wide assortment of Driver for LED Bulb. 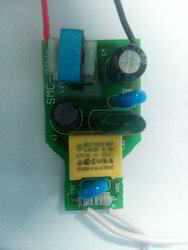 Our product range also comprises of SMPS and Adapter. These are fabricated using premium quality raw material and sophisticated technology by our skilled professionals. The offered range is available in various sizes, dimensions and capacities as per the varied needs of clients. Clients can avail the offered range from us at the most reasonable price range. 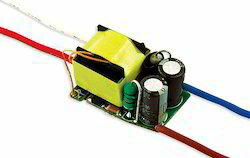 We are a well known manufacturer and supplier of a wide range of LED Bulb Drivers. All our products have a warranty of one year against any manufacturing defects. Clients can avail these products as per their specifications. Our range of products are manufactured using quality material and are tested on several parameters to ensure their flawlessness. We are a leading Manufacturer & Supplier of 3W LED Bulb Driver. We are a leading Manufacturer & Supplier of 8W to 12W LED Bulb Driver. We are engaged in manufacturing and supplying a wide assortment of LED Bulb Driver. We are using high quality component in manufacturing led bulb driver.We are leading Manufacturer & Supplier of LED BULB DRIVER. Looking for LED Bulb Driver ?